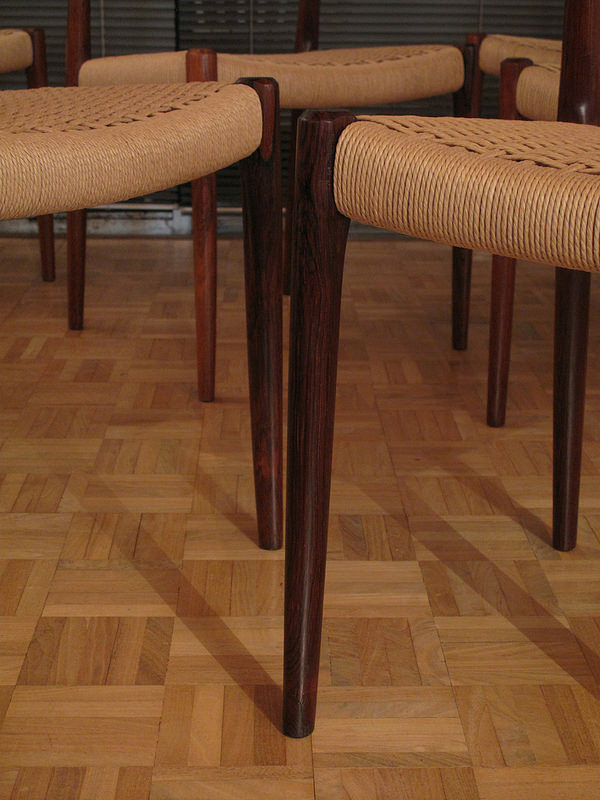 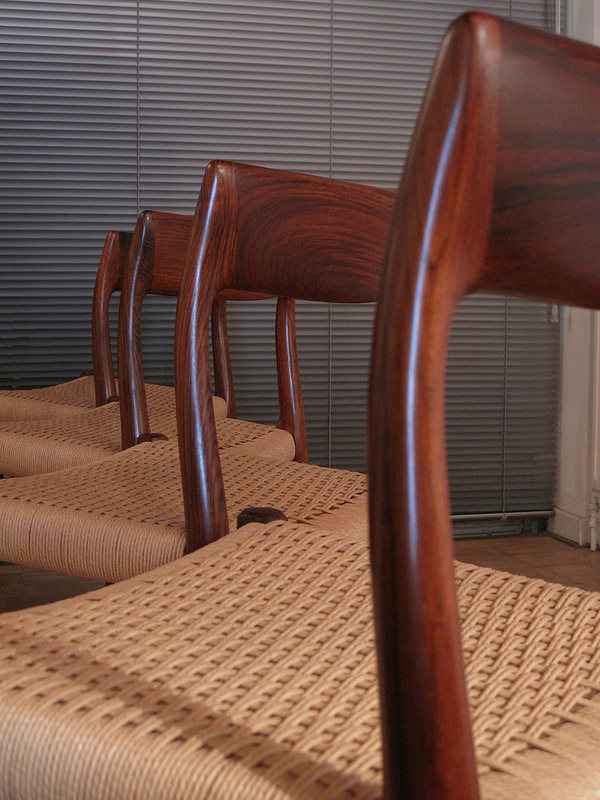 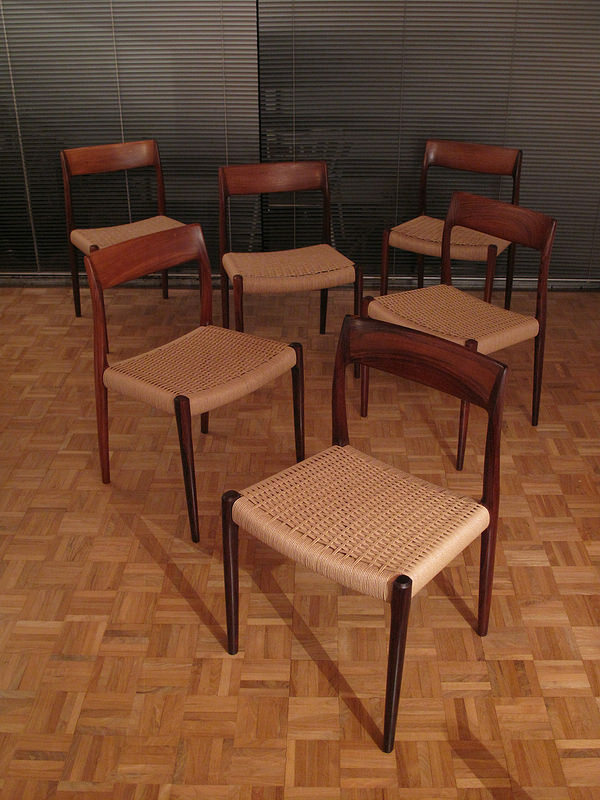 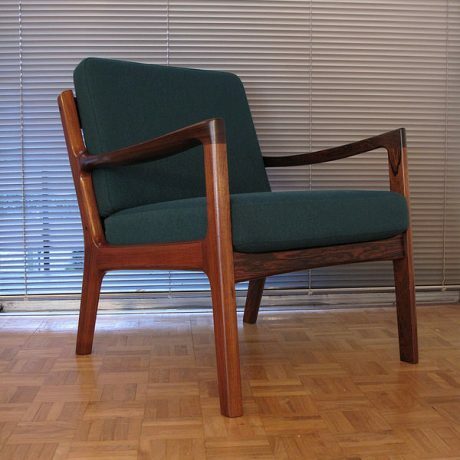 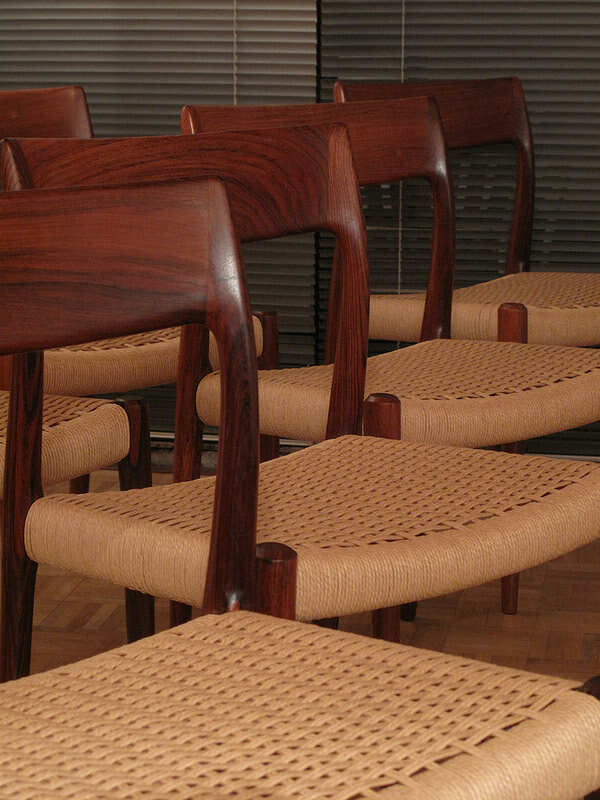 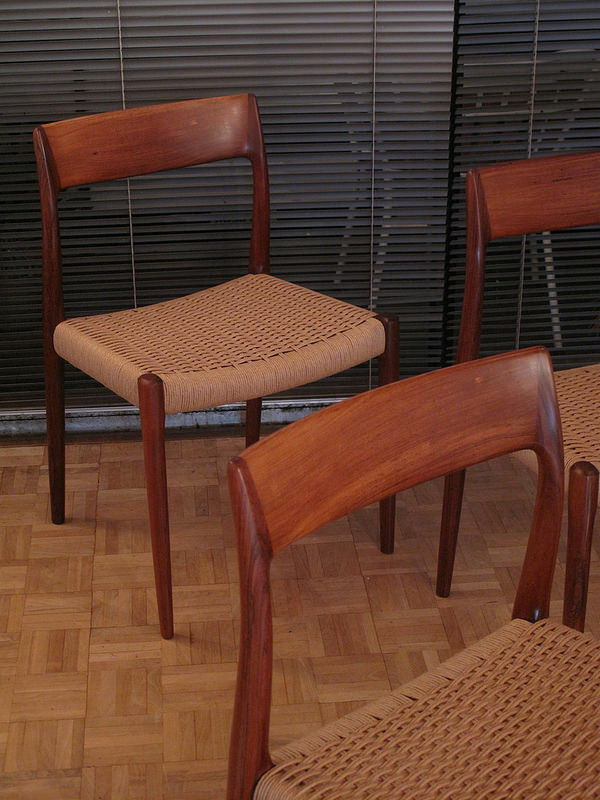 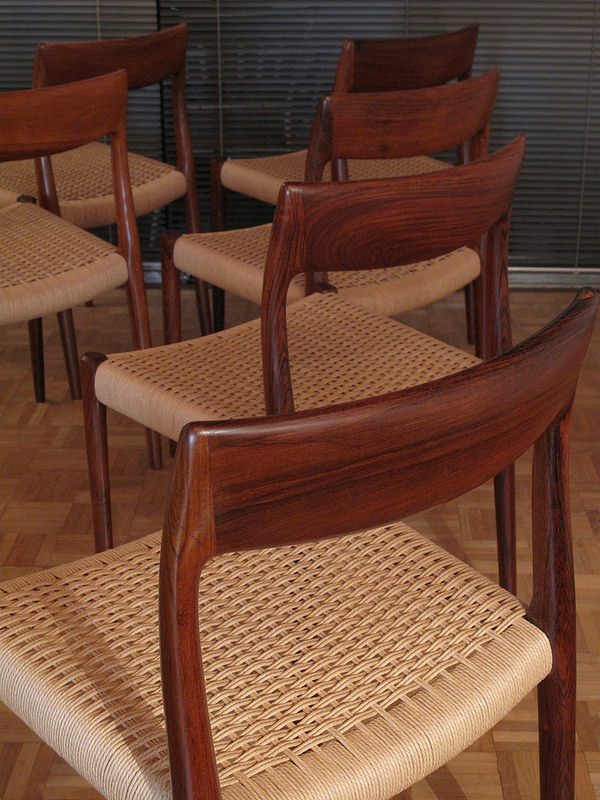 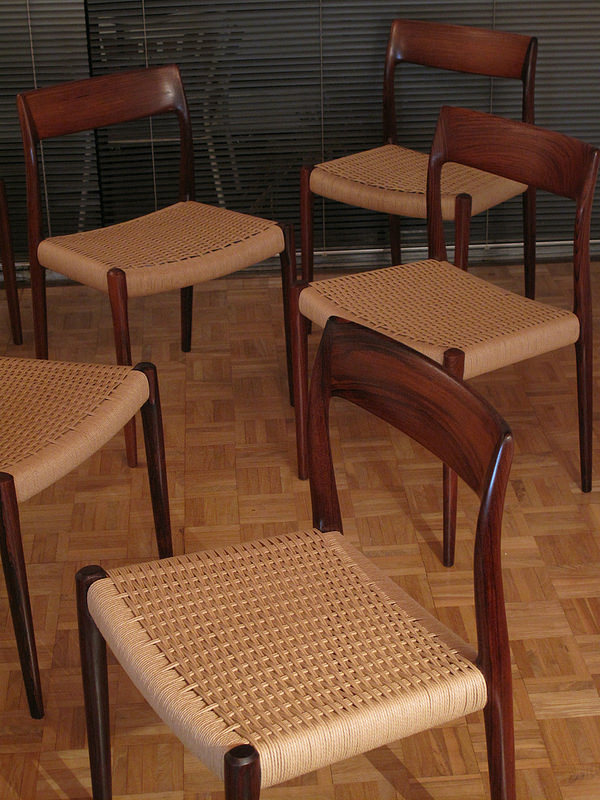 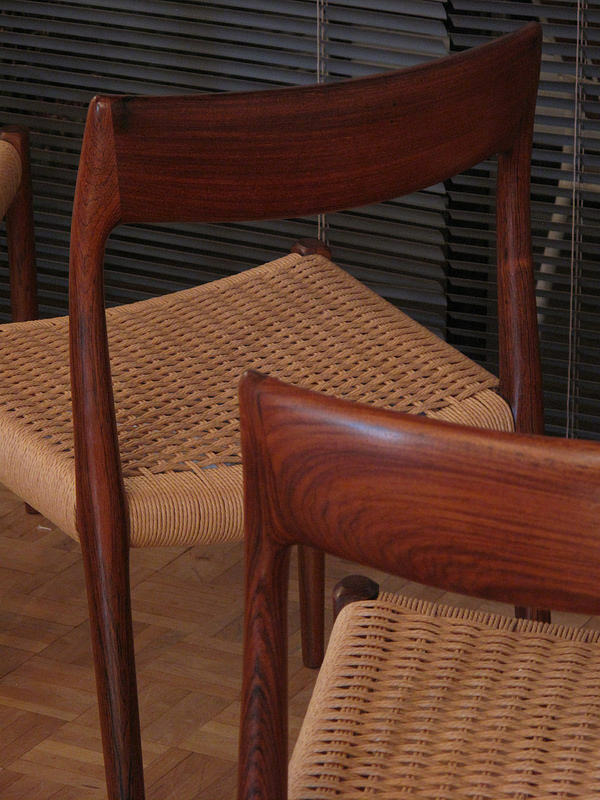 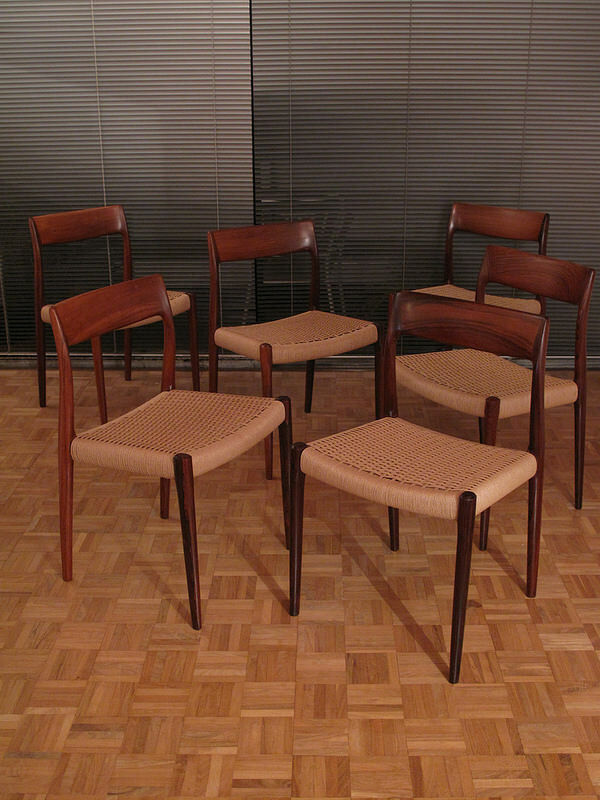 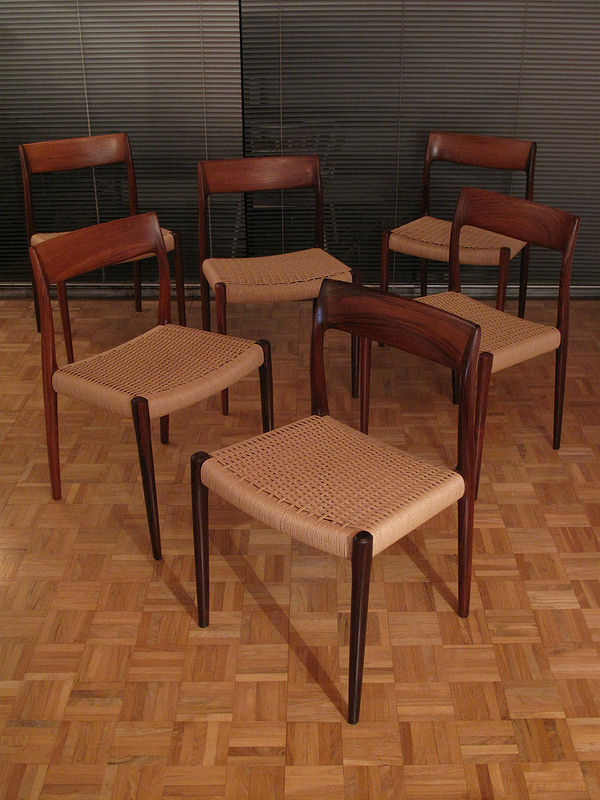 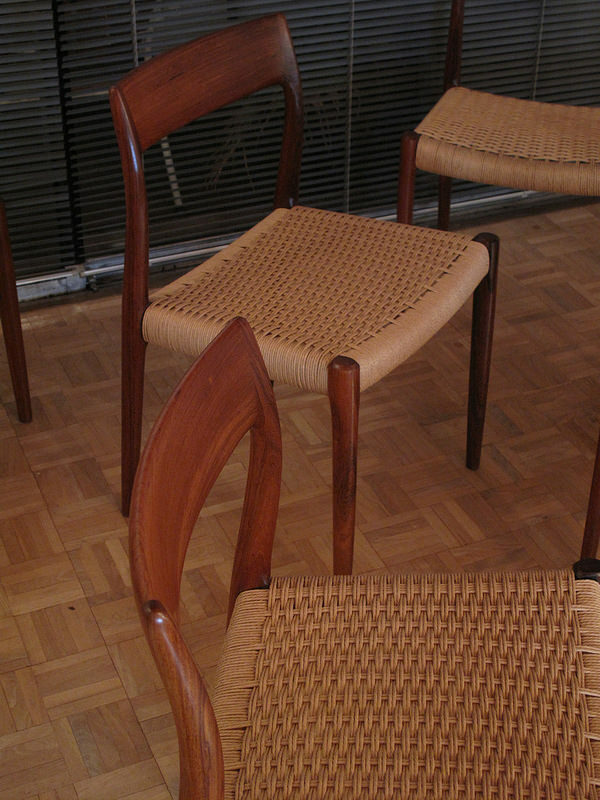 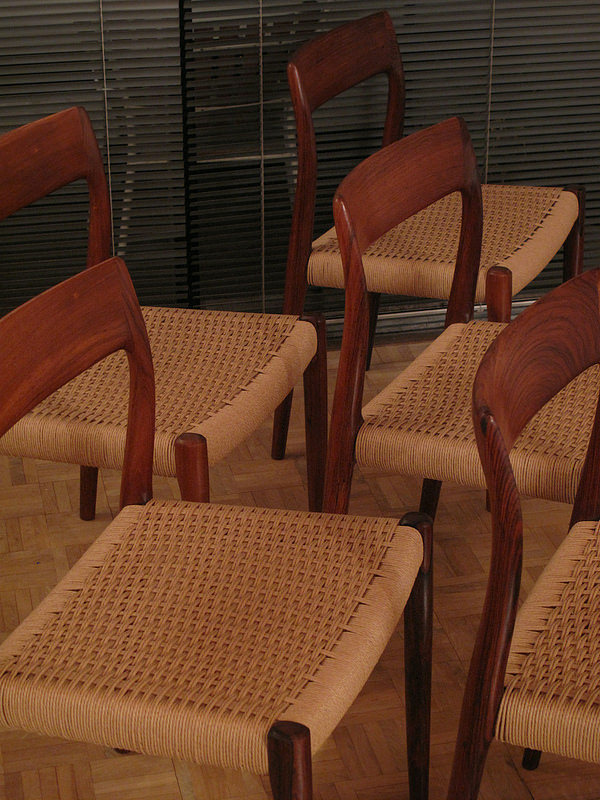 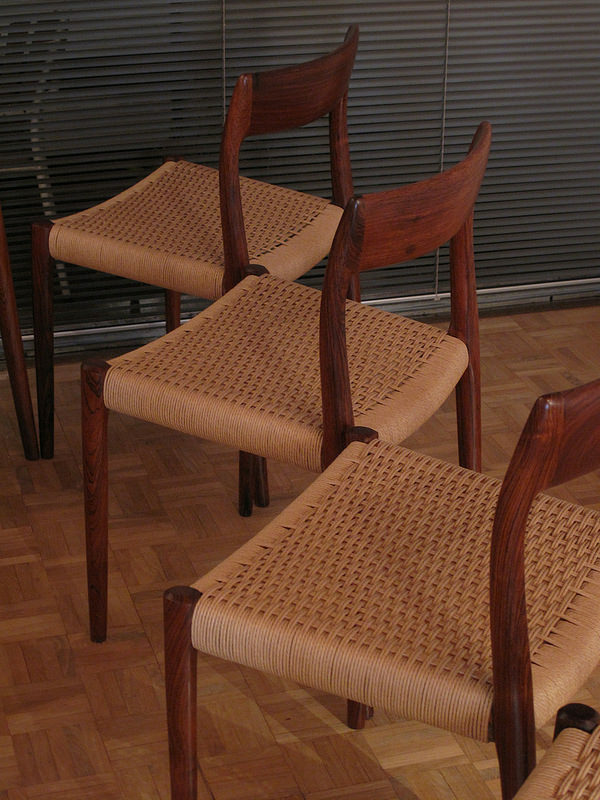 Exquisite and hard to find set of six Niels Otto Moller Model 77 dining chairs designed in 1959 and executed in solid Brazilian rosewood. 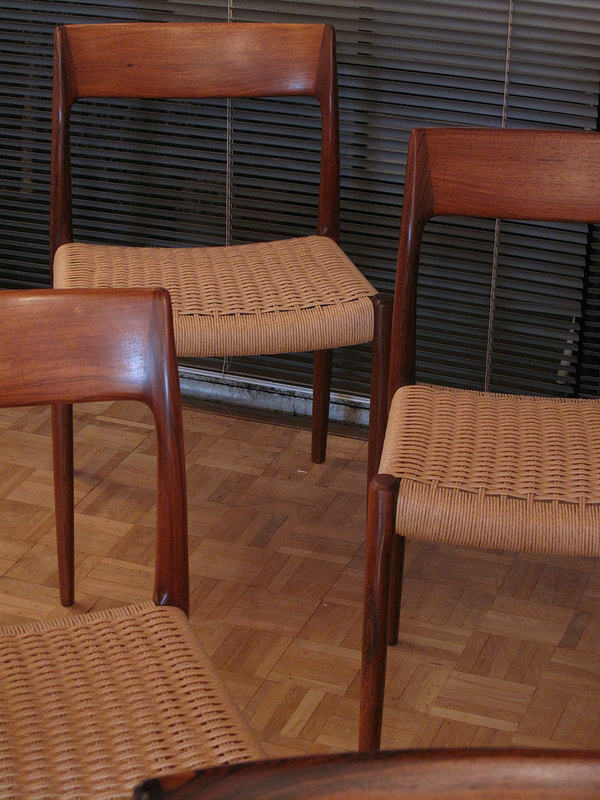 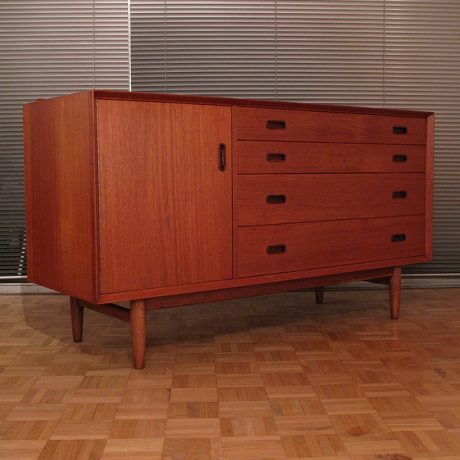 These are early examples produced in the 60’s with earlier production tags to the undersides. 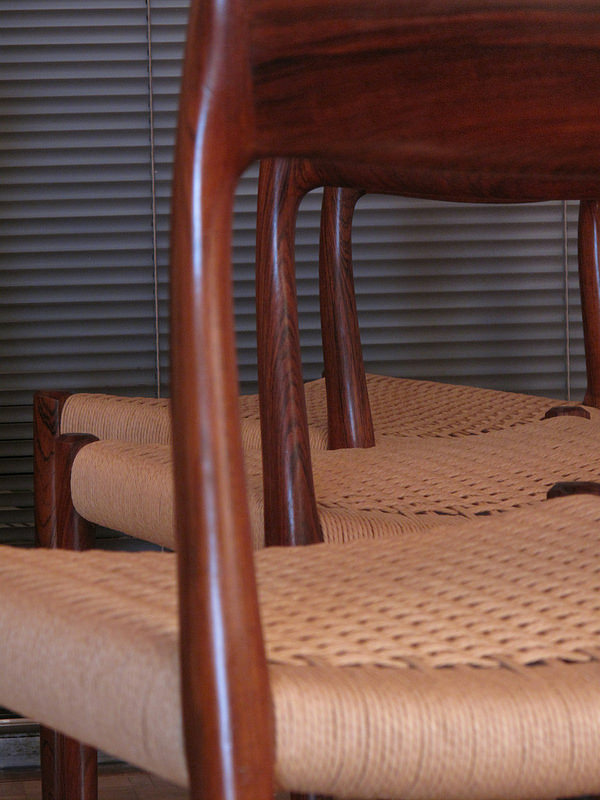 As you would expect from Moller the quality is outstanding with an effortless elegance and simplicity to the design which belies the craftsmanship at the very top of its game. 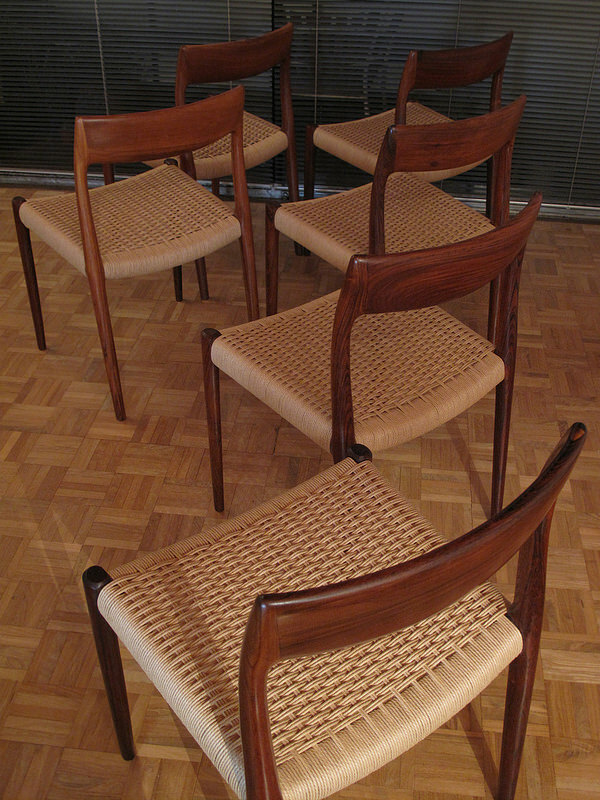 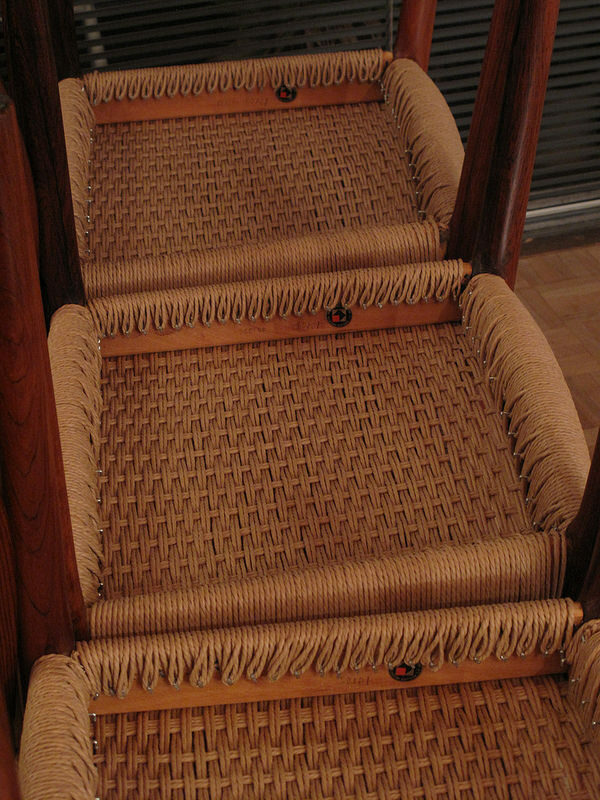 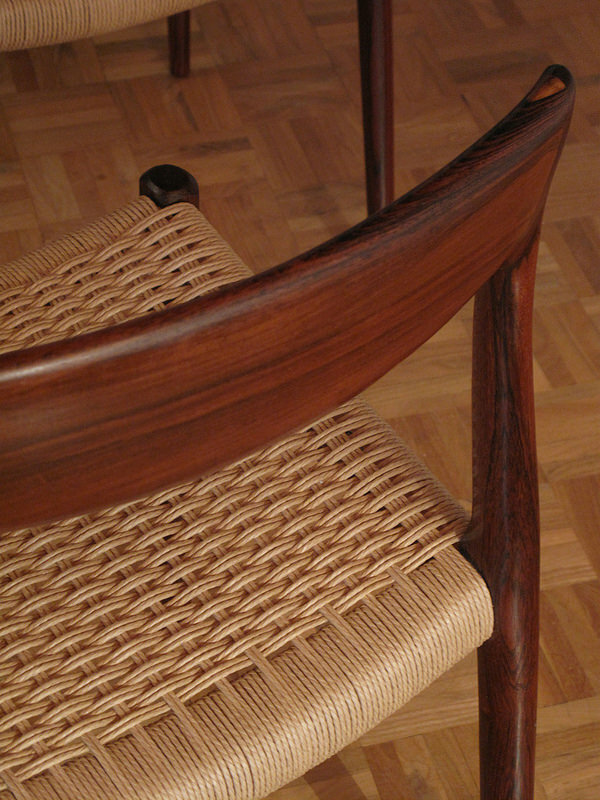 Each chair features a newly woven paper cord seat. 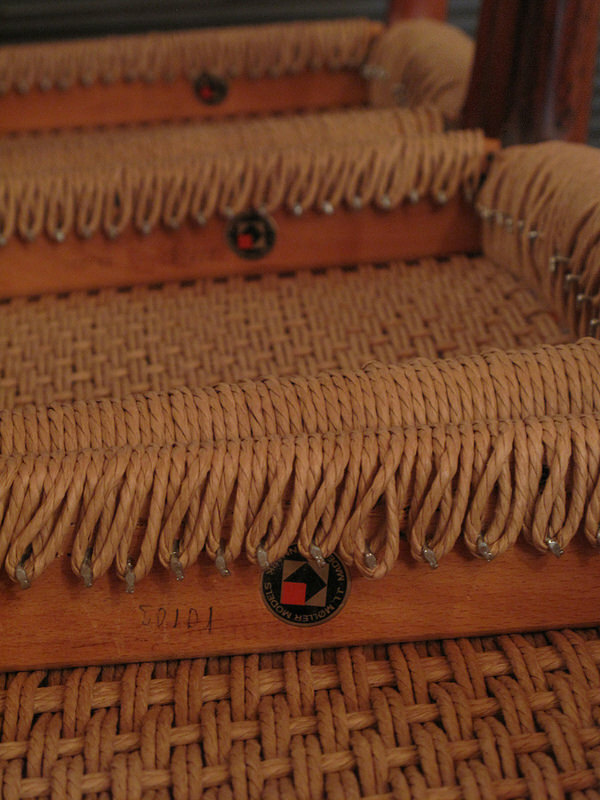 DIMENSIONS: 77cm High x 49 Wide x 43 Deep. 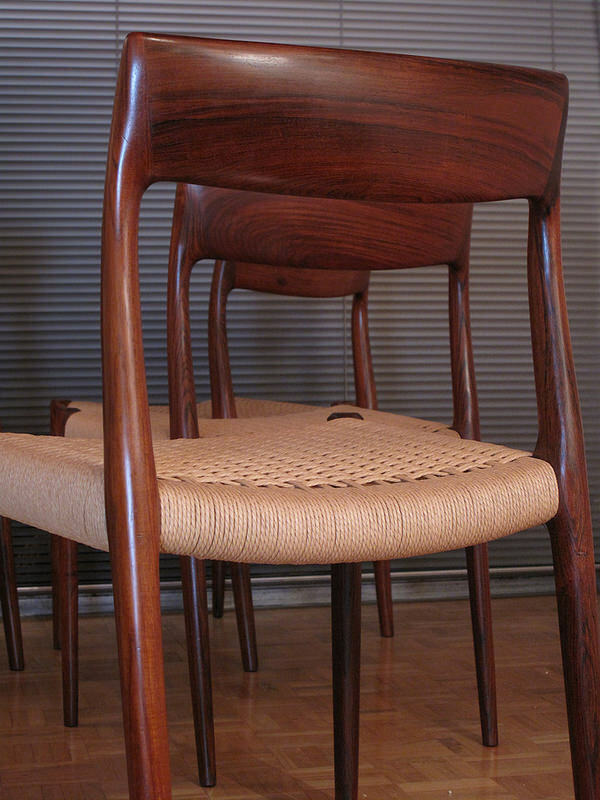 Seat Height 46cm.